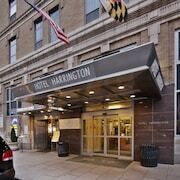 930 Cheap Hotels In Washington D.C. 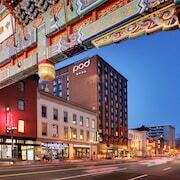 Check prices on hotels in D.C. Very comfortable and good value and would return if ever in Washington. Close to woodley park metro and washingtons fast and efficient subwsy system. Walking distance to the White House, Lincoln Memorial and Washington momunment. 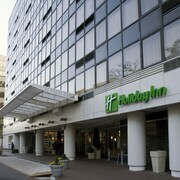 Enjoyed our 4 night stay at this hotel in Washington DC. As this is our only gripe I would defiantly recommend this hotel highly to anyone looking for a very reasonable priced hotel in the middle of Washington. 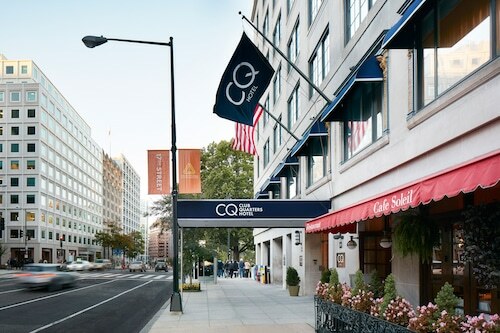 Top hotels in Washington, D.C.. Opens in a new window. Great location during the day! Lots of street noise at night! Friendly staff! Which hotels are closest to the Washington airport? Can you find accommodation in popular areas of Washington? 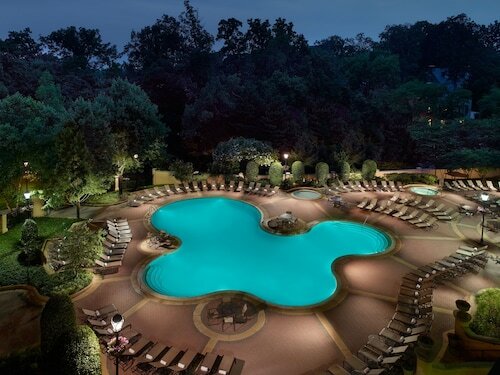 Where to stay near top Washington attractions? What kind of hotels are in Washington? Which hotel chains are in Washington? History buffs will enjoy exploring Washington, and visitors give high marks for the important monuments, fascinating museums, and renowned art. This city also attracts tourists with its parks, theaters, and entertainment choices. Top sights in the city include Ford's Theater, White House, and United States Capitol. 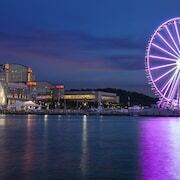 Known for its museums, art, and theaters, the city's cultural venues include Ford's Theater, Arsenal, and National Air and Space Museum Steven F. Udvar-Hazy Center. Its monuments and historic sites are notable and landmarks include Washington Monument, Lincoln Memorial, and Jefferson Memorial. The city's natural setting is picturesque, including the parks and these places to visit: Franklin Square, Bundy Playground, and Abraham Lincoln Statue. 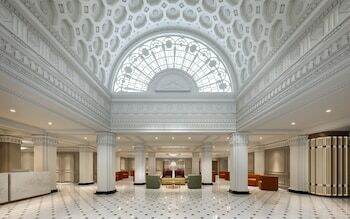 Trump International Hotel Washington DC - Guests who stay at this 5-star hotel in Downtown Washington D.C. can enjoy access to a full-service spa and a restaurant, along with free WiFi. It's a favorite with Expedia travelers for its comfortable beds and overall condition. 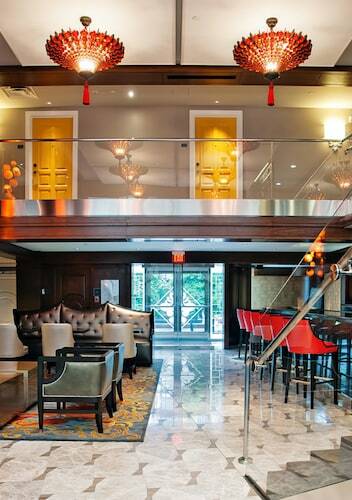 The Jefferson, Washington, DC - Our customers like the dining options and clean, quiet rooms at this hotel. 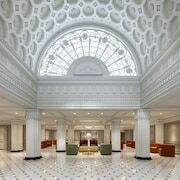 Guests who stay at this 5-star hotel in Dupont Circle can enjoy access to a full-service spa and 3 restaurants, along with free WiFi. Heaven on Washington - Center of City - This 4-star apartment in Chinatown features a restaurant, an outdoor pool, and free WiFi. Expedia customers like its location. Other favorite sights in Washington include White House, United States Capitol, and Arlington National Cemetery. Top places to see outside the city include Wolf Trap National Park for the Performing Arts, located 13.4 mi (21.5 from the heart of the city, and Six Flags America, which is 13.5 mi (21.7 away. With so many ways to get around, exploring Washington is a breeze. You can take advantage of metro transit at 7th St. Convention Center Station, Gallery Place Chinatown Station, and Center Station. If you'd like to explore more of the area, ride aboard a train from Washington Union Station, Alexandria Station, or New Carrollton Station. Washington DC, or just DC to the locals, evokes a wealth of iconic, powerful images. As the seat of government in the United States and home to the White House, the Senate, and the Supreme Court of the United States, the city is rarely absent from newspapers and television screens. As with New York one might experience a sense of knowing Washington before setting foot in the city, but the American capital offers much more than the headquarters of federal power. Washington is a city of contrasts where poor ghettos exist only blocks away from the Senate. The city has a long and sometimes turbulent history, which reaches far beyond the familiar images of today. While Washington's governmental buildings should certainly be on any holiday itinerary they should not be the only items you visit. The National Mall, a two-mile stretch between the capital and the Lincoln Monument features more than a dozen museums and galleries including the National Gallery of Art and the National Museum of the American Indian. The nearby National Museum of American History tells the story of a still relatively young nation, and its location could not be more appropriate; it was here that the words 'I have a Dream' were uttered by Martin Luther King, Jr. It was also here that thousands protested against the Vietnam and later the Iraq War, and Al Gore launched the Live Earth concerts to raise awareness of climate change. As Washington DC is laid out in a grid pattern of numbered and lettered streets split up into four quadrants (NE, SE, NW, and SW), it's easy to find your way around. Most sights are within walking distance from the Obelisk, which stands tall in the center of the city. However, if you want to see more, it's a good idea to get a metro ticket or a hop-on, hop-off sightseeing pass as parking in the city can be difficult, so consider searching for a hotel with free parking. If you really want to dedicate yourself to the sights, especially those that are a little off the beaten track, opt for a professionally guided two-day tour, or get a city pass, which includes sights such as the International Spy Museum. While many would argue that New York is the USA's capital of culture, Washington DC more than holds its own against the Big Apple. There are several cultural institutions of nationwide importance, including the John F. Kennedy Center for the Performing Arts, the National Symphony Orchestra, and the Washington National Opera. Given the diverse make-up of the United States it's not surprising to learn that the cultural scene in the capital is the product of many nations. Migrants have come to live here since DC was founded in 1877, bringing suitcases filled with music, arts, and traditions. 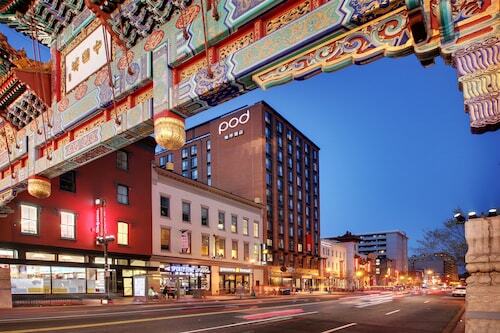 As a result, there is a diverse mixture of entertainment and restaurant options, from the music clubs and bars in the Adams Morgan and Shaw districts, Dupont Circle and the Penn Quarter, to the emerging nightlife precinct of the H Street Corridor. Whether you are looking for a quick stay through a hotel near Union Station or are looking for more a of a long-term stay, Expedia.com.au is here to make you holiday to Washington D.C. a reality. What are the most popular hotels in Washington? Are there hotels in cities near Washington? Explore Washington with Expedia.com.au’s Travel Guides to find the best flights, cars, holiday packages and more!